Levi Ferguson is aiming to start 2019 the way he ended 2018; winning boxing rounds and improving his standings in the super welterweight division writes Ben Gibson. 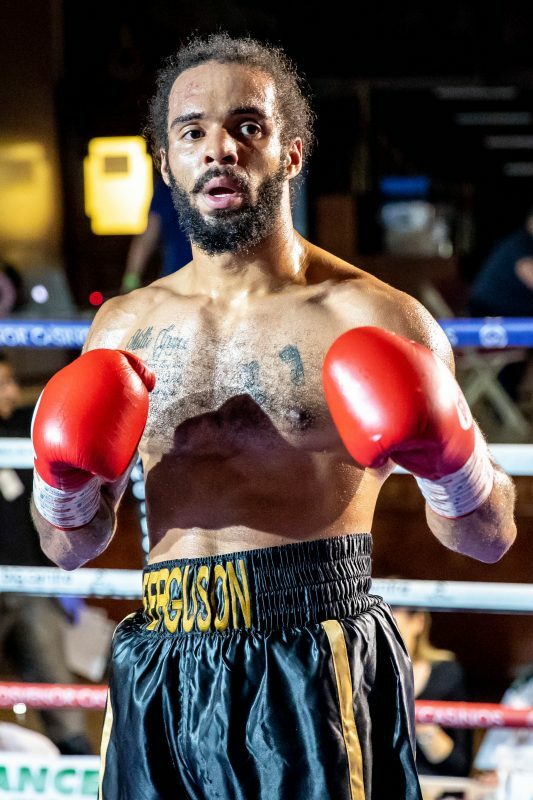 Ferguson took 2018 by storm winning all three of his fights and has yet to lose a round in his professional career. His last bout saw him take on Danny Little and he won in fine form, 40-36, knocking Little down late in the third round in December. The Pleck pugilist is back in the squared circle on 16th February as he features on BCB Promotions’ ‘#No Love Lost’ show at Walsall Town Hall. “As the bout is scheduled for six rounds I have had to ramp up my training. I have increased both my sparring and my overall rounds in general so that I am ready. “I have increased my intensity overall. That simply means more punches and more movement. Everything I do has been much more intense and I am letting my combination flow. With 2019 in full flow now and boxing bouts being made left, right and centre, the former Pleck ABC star is targeting a second successive successful year in the ring. “I have never been out the gym so this year has followed on nicely from last year,” he explained. “I was also making sure that I was training over the Christmas period and the New Year which made it much easier. “I run a landscaping business and it is mainly the quotation and organisation side of things. “I am a very organised person in general so I don’t have issues with training and my commitments to work. “I am able to train in the morning and evenings as now I am less hands on with the business. “While it does require a bit of organising it does work well, as I don’t find it difficult to get my work, training and rest in. Ferguson is part of a stacked card. A six-round welterweight main event at the Town Hall will see Damian Kiwior, from Poland but based in Wolverhampton, tackle undefeated Cornwallian Wes Smith. The experienced Andrew Robinson, from Redditch, Halesowen’s Lennox Clarke Leon Gower, of Burton, Liam Davies from Telford in Shropshire, female flyweight Dani Hodges, of Burntwood, Kingswinford’s Danny Ball and super welter Ross Hollis, from Swadlincote in Derbyshire, all feature.